If you care about sound quality and want to keep your record collection performing at its very best, you’re in the right place! Pure-Grooves offers Soni-Magic — unbeaten ultrasonic cleaning technology at a price that won’t break the bank. It’s time that you heard your music the way the artists intended it to be heard. Premium Ultrasonic Vinyl Record Cleaning at an affordable price. All Makes & Models, Vintage or New. Free Estimates. We carry replacement Belts and Needles! Pure-Grooves is an Authorized Audio-Technica, Audioengine and U‑Turn Audio Dealer. Visit our Online Store, where everything ships FREE. a special pickup by appointment. Use our mail-in service here. 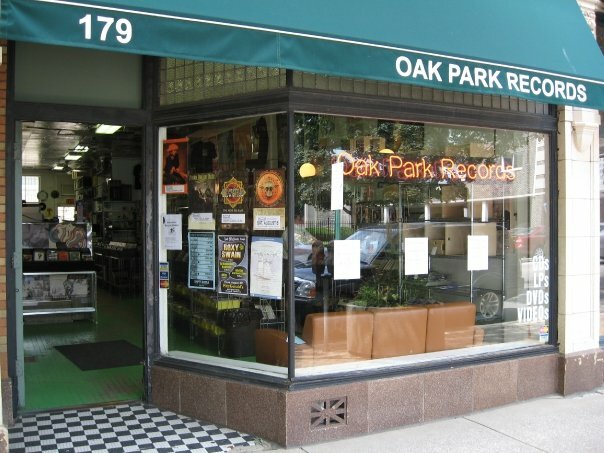 179 S Oak Park Ave.
New Turntables Available at Val's! at these Chicagoland record shops. Contact us to arrange a special pickup by appointment. We believe that analog vinyl is still the most faithful way to capture a live performance and recreate it in your home. In fact, this belief is so strong that we’ve put our two decades of expertise and countless hours of R&D engineering the Soni-Magic process, a superior way to unleash the performance of the records you already own. If you’ve never heard an ultra-clean recording on even a halfway decent system, you don’t really know what you’re missing. Let Pure-Grooves show you… for less than the price of fast food. Optimize your replay & record care knowledge with tips, techniques an special interest articles for audiophiles of all levels of experience. Get the most out of your vinyl! I'm new to the record scene. Let's get to the cool stuff. I’m new to the whole record scene. I’ve been at this for a while. Let’s go to the cool stuff. I’m always looking for more. Why clean my records ultrasonically? Ultrasonic cleaning is the most effective way to clean vinyl records down to the bottom of the grooves. The ultrasonic cavitation action creates microscopic water jets that can reach where old-fashioned brushes cannot. Add our proprietary cleaning solution to this and you have the ability to dissolve all sorts of dirt and hold it in suspension so it doesn't get re-deposited on the groove. Well-cared for vinyl not only sounds great, but will last longer and preserve the stylus as well. A well cared for pressing is also worth more than a dirty, worn-out one. My records already look clean and sound great. Can ultrasonics really make a difference? It sure can. Record grooves are much smaller than human hair. The stylus is trying to trace that groove faithfully to reproduce the music, but it cannot distinguish between the groove wall and any dirt it runs across. The dirt is amplified many times along with the music, so what you cannot see will be audible. Until you experience a truly clean record, you don't know what you're missing! Is ultrasonic cleaning safe for my records? When properly engineered, it is very safe. There are many ultrasonic machines out there, and they aren't all the same. Pure-Grooves combines the right ultrasonic technology with the best cleaning solution for a state-of-the art process nobody else has. What about my 45's and 78's? At the current time, we can clean 7”, 10” and 12” vinyl 45's and 33-1/3 LP discs. A process for shellac 78's is under development. Can Pure-Grooves fix scratched records? We simply remove dirt and grime so you hear the record as the artist intended. Cleaning cannot fix scratched records, bad pressings, or records that have been worn-out or damaged by worn or misaligned equipment. How often should I deep clean my records? Once cleaned by us, this is a function of how well you care for the records afterward. If you accidentally touch or contaminate the record, it should be deep cleaned again. Even brand-new pressings have contaminants from the factory that are best removed before the very first play. How do I maintain my records after deep cleaning? Use an anti-static record cleaning brush on each side of the record before and after playing to remove surface dust. Also clean the stylus with a stylus brush after each side. Return the record to its sleeve immediately after playing. Store vinyl records inside a protective jacket, upright on their edge on a supportive shelf in a temperature-controlled room. Unfinished attics, basements and garages are not good places to store records. Are sound improvements limited to only expensive stereo systems? Your system need not be top of the line to hear the benefits Pure-Grooves offers. Other factors that affect vinyl replay should also be investigated, such as proper turntable setup, condition of the stylus, and the placement and setup of the loudspeakers in the listening area to maximize your enjoyment. 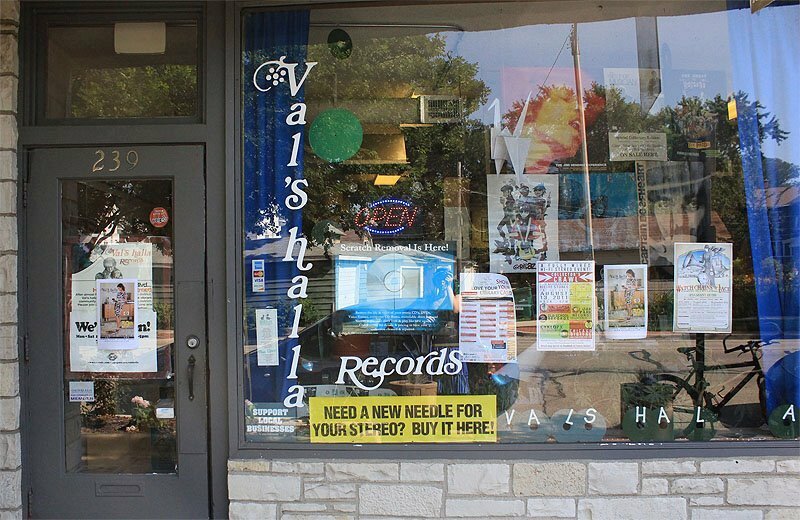 We're here to assist you in getting the most out of your record collection! NOTE: Customers are responsible for shipping costs in both directions. Let us know if you have any questions. We’re glad to help! Pure-Grooves™, LLC © 2017 All Rights Reserved. • Site design by Bowman Visual.